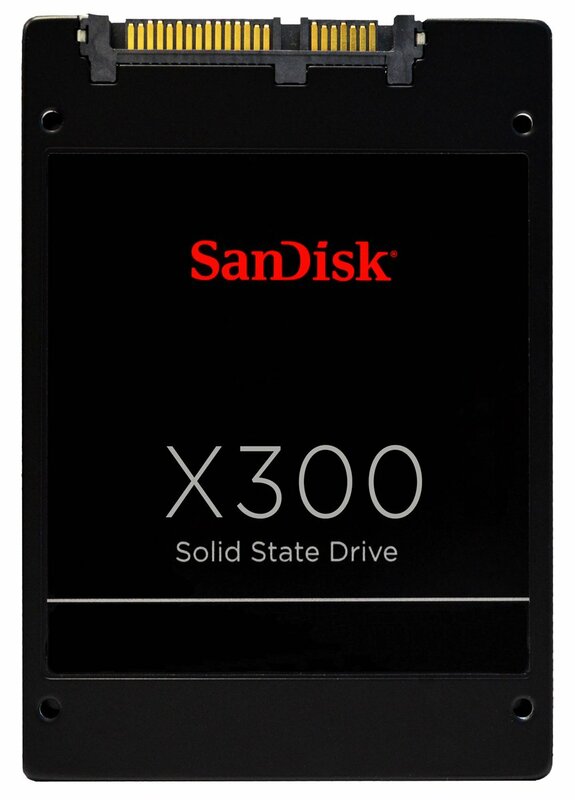 Solid state drives (SSD) have become very popular in the last few years for the high speed they offer that can become up to 8x faster than a regular hard disk drive (HDD) and the consistent reliability the high-end SSDs boast of to the extent that they are now shipped with a 10-year limited warranty, which is too much in the electronic space. Now with PS4 Slim allowing the internal hard drive swap, an SSD replacement might be a good option for some users who want the maximum possible speed out of their PS4 Slim gaming console. It’s worth to state that there have been many arguments on whether it’s worth to equip PS4 Slim with an SSD or not, bearing in mind the relatively unreasonable price for a device that’s used merely for storage purposes compared to its sibling—the hard disk drive (HDD). We don’t deny that SSDs will improve the overall performance of your PS4 Slim console, but according to our personal evaluation, we don’t recommend them for PS4 Slim, mainly because of their high price—it’s the big issue. But if you still want to feel a bit superior to your pals, and money is your last concern, then an SSD cannot be a wrong choice. Below we list the best suggested 1TB and 2TB SSD for PS4 Slim from which you can select what you feel is right for your needs. What SSD Do We Recommend for PS4 Slim? I am making this section because there are still some people want an SSD for their PS4 Slim despite everything else said, and for this class of users this section is made where we recommend SSDs that we consider to be the best fit for PS4 Slim. Note that because SSDs are expensive and a drive less than 1TB is too small for PS4 Slim, only 1TB/2TB SSDs are listed below. It comes with an adequate price that’s not considered too expensive. This impels us to picking drives from mainstream space, and we strongly dissuade from going with a premium SSD for your PS4 Slim. This is the most suitable option among other PS4 Slim SSD options considering the price and availability. There’s only one 2TB SSD brand that fits into PS4 Slim, that’s Samsung 850 EVO which comes at a very high price (more than $700). So I don’t really know if you see any justification in going for this drive that costs so high (more than the PS4 Slim console itself). Summary in Points—Is SSD Worth it for PS4 Slim? Let’s boil down the entire research in a few points listed below. Just remember that if you need more details on a specific point you’ll find them within this research in the corresponding section. An SSD will only increase the speed of PS4 Slim by a rate between 30% to 40% as has been already reported. It’s just NOT the same case with computer systems that will feel huge difference (up to 5x faster in the overall performance) once an SSD is added to them. SSDs are way more expensive than HDDs (more than 5x the price of a regular HDD) and PS4 Slim will not gain much from an SSD due to its limitations. So do you think this small increase in speed is worth it for that unreasonable price? An SSD in PS4 Slim will shine mostly in online gaming space on condition that your peers also use an SSD, or if you often install/uninstall many games within the week, or you like to launch multiple games at the same time and switch between them, or you often transfer huge files from/to your PS4 Slim. That’s because SSDs are very strong in handling multitasking operations and have much higher writing speed than hard drives. So if you’re one of these guys, then go with an SSD if you can afford the price. We believe that a good 2TB internal hard drive for PS4 Slim for the overwhelming majority of PS4 Slim users is what they must look for at this stage because the speed of mechanical hard drives within the PS4 Slim console is adequate and not too bad, and the big issue with them is the small capacity. So consider here improving the capacity instead of speed. Or you can keep your current stock drive and go with a USB 3.0 external hard drive for your PS4 Slim if you are concerned about the capacity. Buying a hard drive for PS4 Slim is very simple, especially where there’re no many options available because the 2.5-inch hard drive industry is almost suspended from development after the advent of solid state drives (SSD) that have proven greater efficiency and reliability in mobile devices. You can read more on that in our PS4 Slim Internal Hard Drive Guide. But does that mean it’s worth to swap the PS4 Slim stock hard drive for an SSD? Will that have the same effects/benefits as it is with computer systems? These questions require deep contemplation before making any decision in this regard, and we’ll try, at our best, to answer these questions sufficiently. Before we delve into discussing whether an SSD is good for PS4 Slim or not, and what SSDs we recommend, we would rather take you through a quick primer on the world of SSDs in order to enlighten you more on this matter so as to become clearly aware of what suits your needs best. That’s because a wide variety of PS4 Slim users don’t know about SSDs anything but that they are magnitudes faster than traditional hard drives (HDD), and they suppose consequently that PS4 Slim would run so much faster with an SSD than its current speed, but that’s more an illusion than a fact, and that’s for several reasons that will be addressed later in this article. Let’s start first by knowing what an SSD is, and how it works and differs from the traditional hard drive like that found inside the PS4 Slim box. 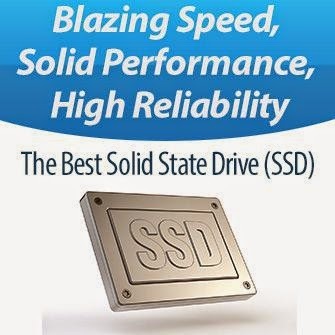 A solid-state drive (aka SSD) is a storage device that’s meant to handle the same functionality of hard disk drives (HDD), but in a much higher speed with decreased power consumption and lower failure rate. It’s main goal is to become a permanent data storage much the same job functionally (e.g., saving your data while the system is off, booting your system, etc.) as an HDD. 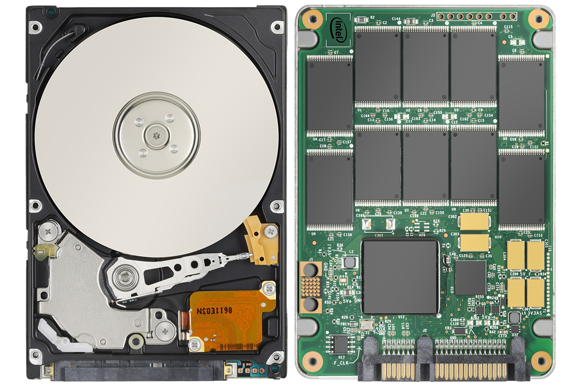 Unlike mechanical hard drives, SSDs don’t employ any moving/mechanical part in their architecture, rather they combine NAND flash memory blocks together and the data transmission occurs among them electronically via microscopic transistors, and instead of a magnetic coating on top of platters, the data is stored on interconnected flash memory chips that retain the data even when there’s no power present, and this is the major secret behind their strength that makes them much faster, more reliable and consume less electrical energy. You’re probably familiar with USB memory sticks – SSD can be thought of as an oversized and more sophisticated version of the humble USB memory stick. Like a memory stick, there are no moving parts to an SSD. Rather, information is stored in microchips. How can this then give SSDs all their traits of which they boast? Well, as an analogy, what’s quicker and requires less energy? Having to walk across the room to retrieve a book to get information or simply magically having that book open in front of you when you need it? That’s how an HDD compares to an SSD; it simply requires more physical labor (mechanical movement) to get information. 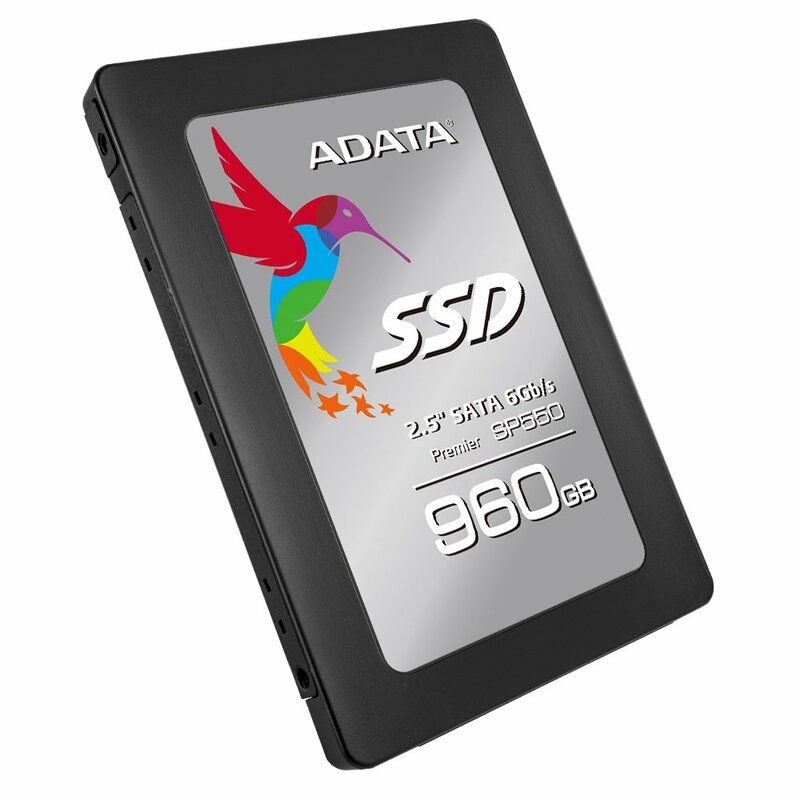 When manifesting the advantages of SSD, we need to put it in comparison with another type of storage device that’s made to carry out the same purpose, and that’s the mechanical hard disk drive (HDD). When comparing modern consumer SSDs with enterprise hard drives, the SSD wins the match in terms of reliability for having way less failure rate than HDDs. The ratio is something around 7:1 in favor of SSD. Due to the much low failure rate, modern SSDs are shipped with at least 5-year limited warranty for mainstream-grade devices, and 10 years for enthusiast-grade. This indicates how reliable SSDs have become. HDD contains moving parts – a motor-driven spindle that holds one or more flat circular disks (called platters) coated with a thin layer of magnetic material. Read-and-write heads are positioned on top of the disks; all this is encased in a metal cas SSD has no moving parts; it is essentially a memory chip. It is interconnected, integrated circuits (ICs) with an interface connector. There are three basic components – controller, cache and capacitor. The longest warranty term given to a mechanical hard drive is 5 years for the enterprise space. 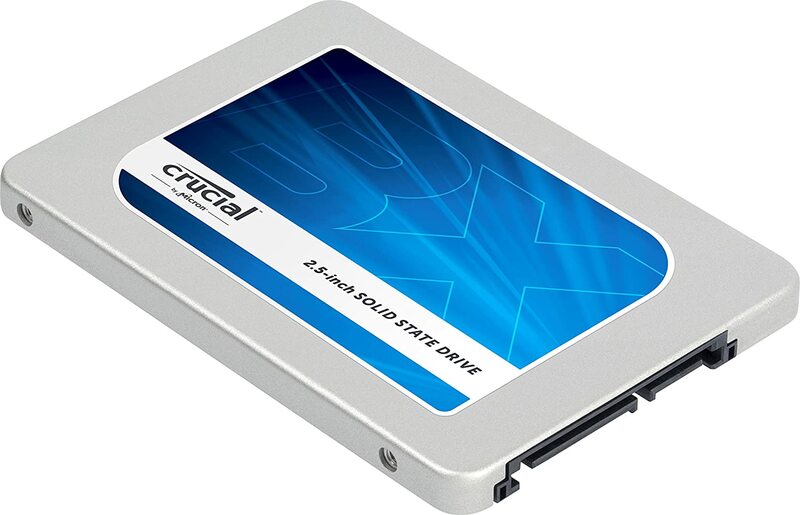 Modern mainstream SSDs are now shipped with a 5 year warranty and a 10-year for enthusiasts. 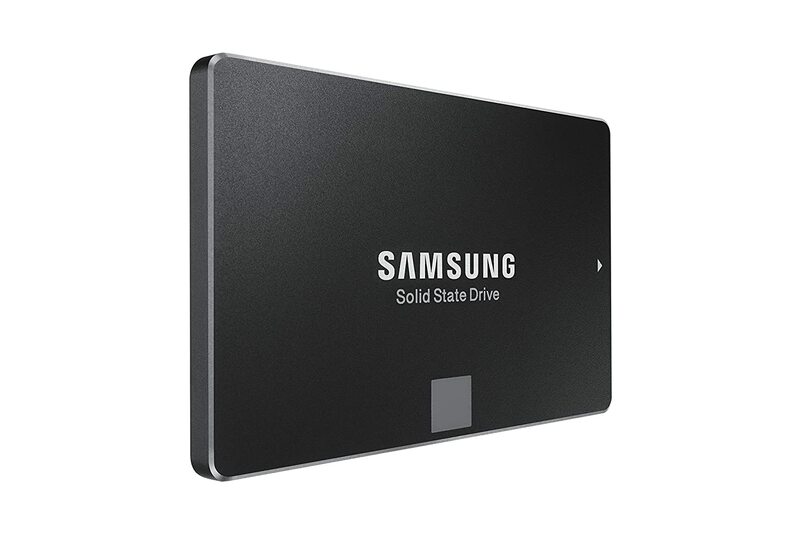 Until recently, as Samsung released its 16TB enterprise SSD and 4TB consumer SSD, solid state drives used to be criticized for their limited capacity that didn’t cross the 1TB limit for almost 2 years, unlike mechanical hard drives that, at that time, were available in up to 8TB of storage capacity. But in the middle of 2015 Samsung broke this barrier by releasing the first 2TB consumer SSD in the 2.5-inch form factor, then in the beginning of this year (2016) released a 4TB SSD of the same consumer-grade model line/series. So if we consider the limited capacity issue resolved, the issue of high price is still existing. 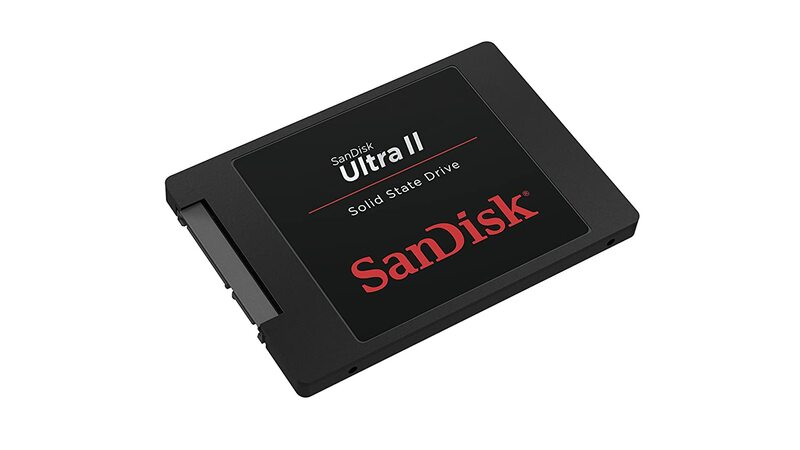 In order to imagine how expensive SSDs are, the price of a 1TB SSD costs currently, as of the time of writing, more than $350 on online retail store, whereas the same capacity of 2.5-inch hard drive costs barely $80 or even less. That’s quite a vast difference. Now think deeply about it. Is it worth to spend as much as the price of PS4 Slim console itself just for a storage upgrade that won’t provide more than 40% improvement of speed? The entire decision is yours eventually. Although PS4 Slim development team declines to give a clear answer on whether PS4 Slim incorporates SATA-II or SATA-III interface, many users reported, according to their personal testing and experimenting, that PS4 Slim bus speed is way slower than that offered by SATA-III interface, even after employing an SSD interfaced with SATA-III in their experiments. 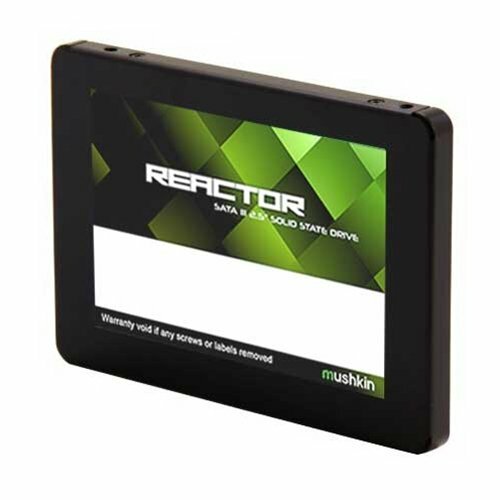 This leads us to deduce that PS4 Slim incorporates SATA II which consequently will immensely restrict the potential of any fast storage device designed for SATA-III. PS4 Slim system will not allow any upgrade other than the hard drive. That means you cannot replace the processor or increase the RAM size or even change the operating system. This gives personal computers more credits over PS4 Slim in this matter. Solid-state drives (SSD) are great, and they offer legendary performance boost to computer systems equipped with these flash-based monsters. But that doesn’t necessarily mean that SSDs will also function on the same level of performance/speed when incorporated into PS4 Slim. What you need to know is that upgrading PS4 Slim console beyond its standards is more a dream than a reality, because even if the hardware specifications permit it, the PS4 Slim operating system has yet to handle the new hardware configuration according to its rules, and this is where the core problem is. Products prices and availability are accurate as of the date/time indicated and are subject to change. Any price and availability information displayed on amazon.com as applicable at the time of purchase will apply to the purchase of this product.